On Friday November 6th 150 people gathered to Skanssi shopping center to develop the future Skanssi area. 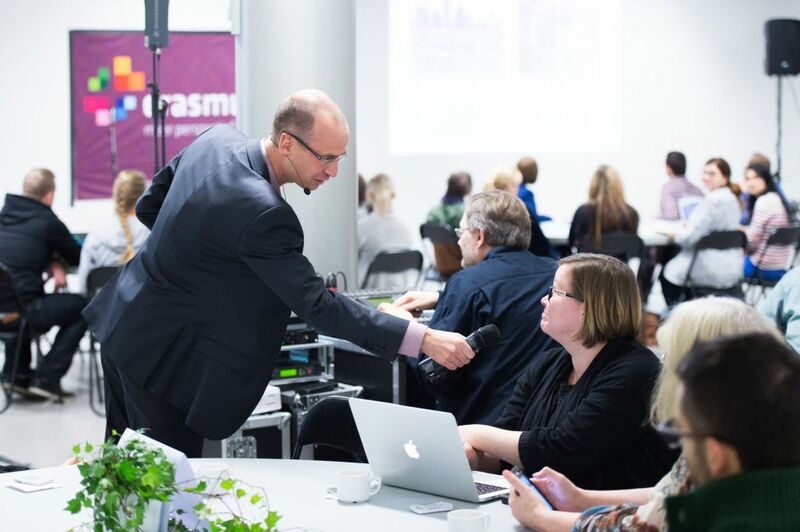 The Smart Sustainable Cities event was organized by Turku University of Applied Sciences and the language of the event was English. There were students, experts and business representatives from both Finland and abroad. The topics in the morning were sustainable and intelligent urban planning solutions as well as current plans in the Skanssi area. Some the speakers during the morning were Dutch Martijn Rietbergen, who has researched intelligent sustainable cities at the University of Utrecht, as well as the zoning architect Oscu Uurasmaa from the City of Turku, who is involved in developing Skanssi. In addition, speeches were heard by Turku Energia and Turku University of Applied Sciences. During the day of the event the participants were able to participate by voting for issues related to the design of the Skanssi area. At the same time the designers of the area received valuable information from opinions from more than 100 people. The afternoon was reserved for group work, of which the large group of people managed well. Being run by facilitators, the groups brainstormed ideas for Skanssi using creative innovation techniques and finally the participants voted for the best ideas. The best ideas were went through at the end of the day. The most support got the zero waste policy taken into account in urban planning and turning waste into raw material. In addition, participants generated ideas for intelligent energy solutions and considered the Skanssi area as a good testing place for even adventurous energy experiments, through which the area would get an even stronger profile as a sustainable neighbourhood. Also community was discussed and participating different target groups in the regional planning was seen as an important factor. The event showed that people are interested in intelligent, sustainable urban solutions and want to participate in the planning of the city of the future. The conversation went on in Twitter with hashtag #SmartSustainableTurku and can be found here. The event was organized by Turku University of Applied Sciences in cooperation with the City of Turku and the Skanssi shopping center. The event was part of the Carpe-Essence project funded by the Erasmus+ program.